I know what you thinking. “Do I really need a recipe for bbq chicken? Can’t I just brush the chicken with bbq sauce and be done?! 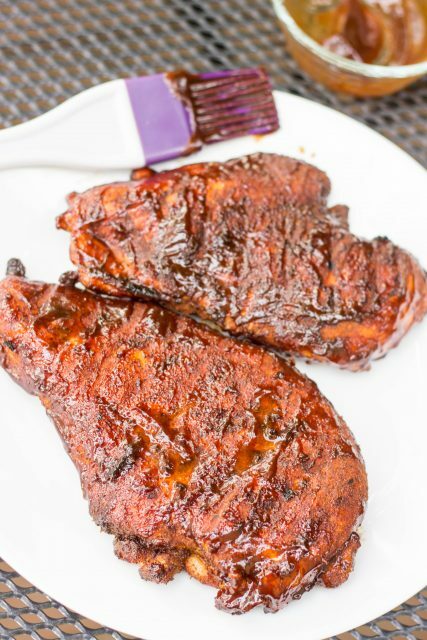 ?” I mean, yes, you can do that and you might have some tasty chicken, but if you want a-mazing grilled bbq chicken you will start with a dry rub like I did here! 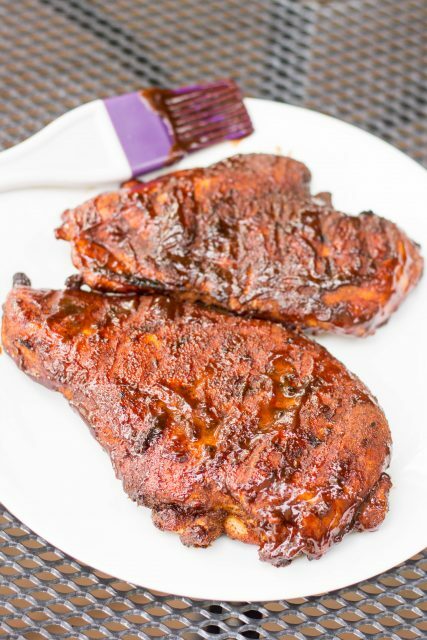 😉 This was one of my first times using a dry rub, and I just might be hooked – so much flavor and such a nice crusty “bark”! This rub couldn’t be easier, only 5 ingredients, but it kept the meat so moist and the flavors are all nicely balanced. I loved the combination of the smoked hot paprika with the slightly sweet bbq sauce. Yum! 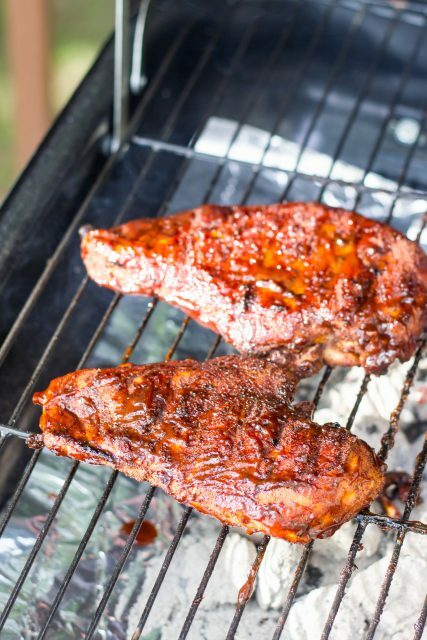 If you haven’t fired up your grill yet this year, what are you waiting for?!? It’s just so easy, adds so much flavor to everything, AND no dirty dishes!! You don’t have to have a fancy grill (mine is a $30 charcoal grill from Walmart that I bought on sale last year!) and ladies, yes, you can build your own fire. I promise! It’s easy! =). Enjoy! 1. Combine the cumin, salt, paprika, chili powder, and allspice in a small bowl. Mix to combine. Liberally coat the chicken on both sides. Cover and let it sit in refrigerator for at least an hour (but preferably 6-8 hours). 3. Flip the chicken. Baste the top side with bbq sauce. Cook a couple minutes more. Flip and baste second side with bbq sauce. Cook another minute until the bbq sauce has caramelized on both sides. Chicken should be ~160 degrees on an instant read thermometer. Remove from grill and let rest 10 minutes.